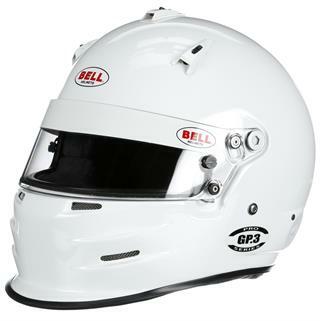 The Bell GP.3 combines traditional F1 styling, versatile air intake system and lightweight carbon composite shell with leading-edge aerodynamic performance. The GP.3 is a great option for open wheel, formula racers and karters who demand professional features, performance and comfort. The GP.3s improved shield integration, double screen anti fog (DSAF) visor, rubber gasket seal and manual lever closable air intake vents provide maximum ventilation and clear vision in the most demanding racing environments.